For the last decade, the ongoing crisis in student loan debt has loomed over every aspect of higher education, from choice and enrollment to post-graduate payback. At times, the trillion-dollar mountain of debt has seemed insurmountable. But today, with increased commitment from both the public and private sectors, new strategies are emerging to take on the crisis — strategies like corporate student loan repayment and the Student Debt Challenge. 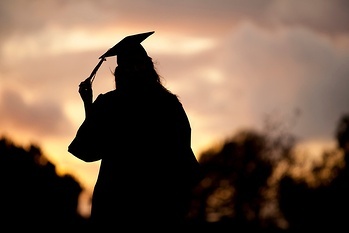 According to the Wall Street Journal, “More than 40 companies, including Fidelity Investments and Rite-Aid Corp., as well as universities and nonprofits, have answered [the] call by the White House.” For Fidelity, that means spreading the word, and it also means joining the ranks of companies that provide student loan repayment benefits for their employees. We’ve looked at the growing trend of student loan repayment programs before, and they deserve closer examination. They’re a powerful benefit for the graduates receiving them — and they’re also hugely beneficial to the employers that offer them. One of the findings that spurred Fidelity to start a student loan repayment program came from their own day-to-day investment business: the company noticed that fewer and fewer millennials were saving for retirement, because they were devoting more and more discretionary income to paying student loans. At the same time, millennials were also poised to become the single largest cohort in the American workforce. To the companies that have started to offer student loan repayment, it’s a clear opportunity to do good: helping new graduates with their student loan debt creates a huge advantage in recruiting young talent. Loan repayment also allows much more direct targeting of benefits spending — by providing education benefits to those already hired, the company ensures that it’s devoting funding to directly impact the future of its own industry. While loan repayment is clearly valuable to both employers and the workforce, the fact remains that not every company can afford across-the-board student loan benefits for every employee. To create a program with a tight budget, consider taking a cue from the world of scholarships and creating a competitive loan repayment program. By requiring employees to apply for loan repayment as they would for a competitive scholarship, companies can offer the program on a set or limited budget, without the concern that they may be swamped with unexpected payouts. And, even if budget isn’t a concern, competitive programs can also be used to target loan repayments to those with certain levels of need. Outside of the corporate realm, the competitive option is especially good for foundations and nonprofits interested in adding a loan repayment program. Instead of employees of a single company, these community programs can target those in a certain profession, industry or geographic area. Depending on budget, the requirements can be narrowed or widened to address the foundation’s focus of concern. Loan repayment programs are a bold new frontier in education funding. At Scholarship America, we’re using our decades of expertise to design and deliver effective, impactful loan repayment programs to both companies and nonprofits. (As always, we also provide transparent, neutral third-party selection and administration.) If you’re interested in how loan repayment can work for your workforce or community, get in touch.